If your trees are overgrown, hanging over the street and are becoming a hazard, make sure to give us a call. 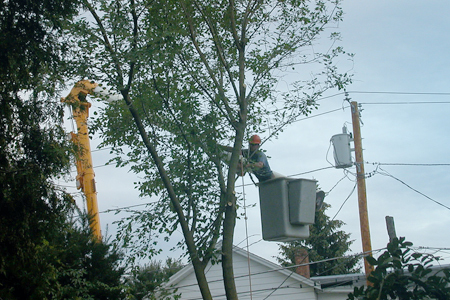 We specialize in tree cutting, overall size reduction and long term tree maintenance. We service residential locations as well as commercial real estate. This includes resorts, hotels, small and large business parks, office parks and even universities and school districts. We're the tree company you want on your jobs! One of our most requested services is tree removal. Often times new home owners will want a tree or large plant removed from their yard as they plan to update their landscaping, which we can also help with. We have all of the right tools and equipment to get the job done and in a safe manner. Tree removal can be a great way to transform a hazardous yard that is overgrown with plants and trees into extra outdoor space for you and your family to enjoy. Sometimes the easy part is cutting down a tree. But there's a big difference between cutting down a tree and tree removal service. The difference is what's left behind. When Corpus Christi Tree Care removes trees, we leave nothing behind. However, in the case that you or the previous owner of your property has left a stump behind after cutting down a tree, we can help complete the job. Corpus Christi Tree Care offers Tree Stump removal as one of our core service offerings. We will make sure that the tree stump and roots are completely removed and are no longer getting in the way or hogging prime real estate in your yard or business location. 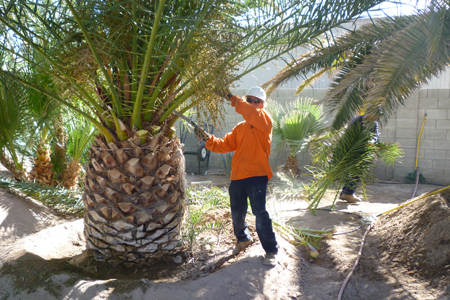 Many of our commercial clients will have us do regular maintenance on their trees and other large plants. We offering monthly and quarterly maintenance services to homes and businesses alike. We make it easy for you to call, set up a monthly maintenance deal, and then get on with your life. We don't want you spending any more time on it than you have to! Let us do our job as Corpus Christi's best tree company and leave you with nothing but peace of mind. We offer quality service and even better tree removal estimates! ​View all of our pages under the "Services" tab to read more about what Tree Service Corpus Christi can do for your home or business! As always, thanks for hiring Tree Service Corpus Christi best of the best - Corpus Christi Tree Care! If you're looking for a reliable tree service company on the East Coast of Florida, be sure to check out our sister company, Port Orange Tree Removal! They will uphold to the same standards as ours, and perform tree trimming, tree removal and cutting services with professionalism and care! We also have an Arborist partner in Florida. Contact them today by clicking the previous link!